*Party Accessories*: Back to school!!! 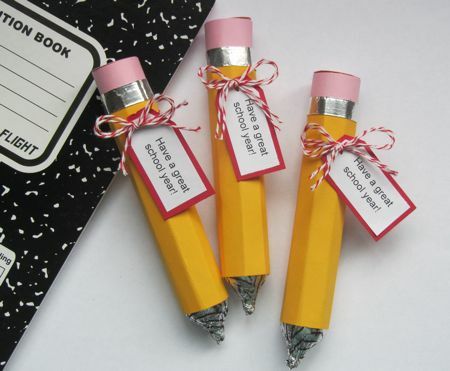 The moment I saw this cute little pencil treats on Pinterest, I knew I was going to make it. Well, today was the day. My little KaiKai will be hopping off to preschool tomorrow with these in hand for her teachers. She I am so excited. Because what teacher wouldn't want a little chocolate on the first day of school. Bonus points for my daughter too!